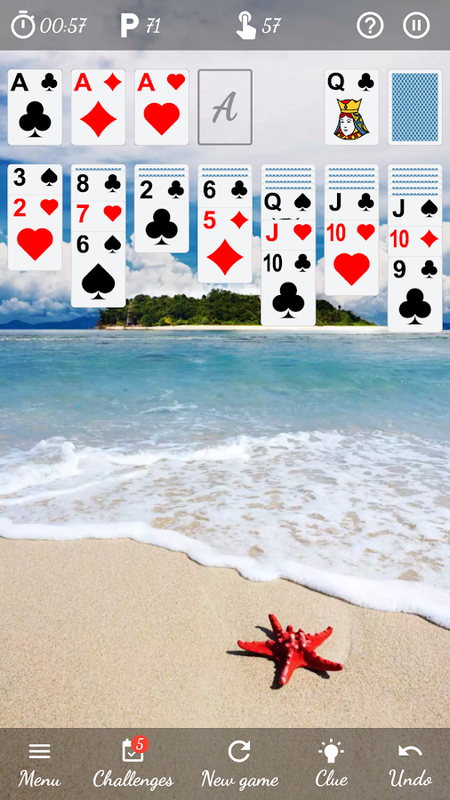 Solitaire Free is the best game of solitaire free classic ( call ittoo solitaire card games free ) available on Google Play : ★Classic cards ! ★ Unlimited number of games ! ★ 1 new challenge todiscover every day ! ★ Fluid, colorful and customizable game ! ★ Alot of game options (1 hand card or 3 hand cards, classic mode orvegas mode, timed game or not, ...) ! ★ And lots of other greatthings ! Do not hesitate a minute ! Download it and have fun rightnow ! Word Search is the best word game free available on Google Play : ★Fully free ! ★ Unlimited games ! ★ 4 difficulty levels ! ★ 400hidden words ! ★ and many other really nice things to discover...So go ahead, it's completely free ! Download it quickly and havefun now !